Measurements of chemosensory function within specific regions of the tongue can yield important information about the sensitivity of lingual areas to chemosensory stimuli and may identify possible nerve damage. A novel regional chemosensory test that uses thin edible circles was developed for human testing. Edible circles placed at six different regions of the tongue were used to examine regional sensitivity to quinine for bitter taste, NaCl for salt taste, sucralose for sweet taste, and capsaicin for pungency. The six regions included the anterior tip of the tongue, the left and right lateral margins of the tongue (anterior and posterior), and the circumvallate region. Testing was completed with the mouth open, and the mouth closed. Intensity ratings at all sites were higher in the closed mouth condition for the three taste stimuli. Quinine intensity was highest at the circumvallate region with the mouth closed. NaCl and sucralose intensity were highest at the anterior tip and circumvallate regions. Capsaicin intensity was most highly perceived at the anterior tip of the tongue, but open and closed mouth intensity ratings showed no significant differences. 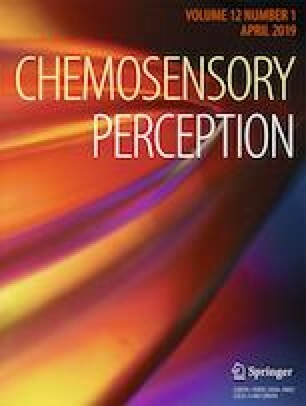 Regional differences in chemosensory perception were observed on the tongue, and these differences were dependent on the chemosensory stimulus, tongue region, and tasting mode. Edible circles show minimal diffusion with saliva, can be used to examine both taste and irritation, and may be used to identify regional papillae counts on the tongue. Finally, edible circles should be invaluable for examining damage to the oral cavity. The online version of this article ( https://doi.org/10.1007/s12078-019-09265-9) contains supplementary material, which is available to authorized users. The authors thank Dow Chemical Co. for the hydroxypropyl methylcellulose, and Jacqueline Tanaka, Edward Gruberg, and Craig Brumwell for valuable discussions. An earlier version of this work was presented as an abstract at the 17th International Symposium of Olfaction and Taste (ISOT 2012). This work was supported by NIDCD 2R44 DC007291 and funded in part by the URP program at Temple University. All protocols performed in this study were in accordance with ethical standards of the sponsoring university’s institutional review board. Informed consent was obtained from all subjects who participated in this study.